Common Questions About the Bair Hugger Warming Device | Kennedy Hodges L.L.P. Am I entitled to compensation for my medical expenses if I was injured by an infection caused by the Bair Hugger forced-air warming system? During a hip or knee replacement surgery, it is imperative that the patient be kept warm. When a patient’s body temperature drops below normal, serious risks can arise. Doctors keep patients warm by using various types of devices that help regulate body temperature. One such type of device is the Bair Hugger, which uses forced air and a blanket-like device to keep a patient warm during surgery. Unfortunately, the device has also been linked to deep joint infections because it can stir up contaminated air from the surgery room floor and deposit it near the surgical site. These infections have resulted in the need for repeated surgeries, amputation, and other complications. Patients may pursue compensation from the device’s manufacturer. Loss of income, including past and future wages. Medical bills, including those relating to hospitalizations, doctor fees, surgical costs, and prescription medications. While you may be entitled to pursue a claim for compensation, it is important to act quickly. Time limitations apply to your ability to file a claim. We have helped many such clients obtain the compensation that they deserve. We encourage you to read our client testimonials today to learn more. Why does 3M continue to market and sell Bair Hugger if it can lead to dangerous infections during surgery? When patients undergo a hip or knee replacement surgery, many doctors throughout the country utilize the Bair Hugger forced-air patient warming device. This device looks much like a blanket, and is designed to help maintain a patient’s body temperature during the procedure. Unfortunately, the device has also been linked to deep joint infections that can lead to permanent disability, amputation, and other risks. 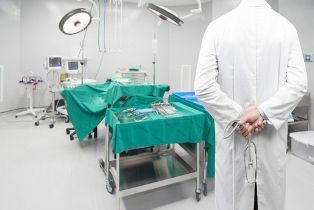 The Bair Hugger reportedly discharges air underneath the surgical table during a procedure, which then picks up germs and recirculates the contaminated air into the surgical site. Patients suffering from an infection following a surgical procedure involving the Bair Hugger have begun filing lawsuits against the makers of the device, 3M, and Arizant Healthcare Inc. Despite the pending legal actions against them, the companies continue to sell and promote the use of the device. The single-use Bair Hugger device reportedly does not heat the entire operating room to uncomfortable levels during the surgical procedure. 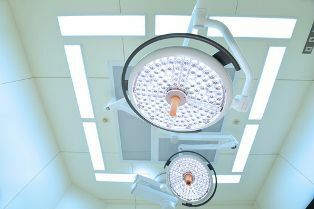 Maintaining a normal body temperature during surgery has been shown to reduce the risk of surgical infections and other complications. The company is confident in the “safety and efficacy” of the use of the Bair Hugger device. The company notes that the device is used in millions of surgeries each year. Despite the company’s claims, some patients have undoubtedly suffered significant injuries as a result of an infection attributed to Bair Hugger. One patient required 15 surgeries to address his infection. Another patient had his leg amputated after an infection developed during a knee replacement surgery. If you suffered harm after a hip or knee replacement surgery, we can help you protect your legal rights. Check out our many client testimonials today to learn more about how we have helped other families obtain the compensation that they deserve.